In a covalent bond, two atoms share electrons. Each atom counts the shared electrons as part of its valence shell. In this way, both atoms achieve complete outer shells. In the following diagram, two fluorine atoms, each of which has seven valence electrons and needs one electron to complete its valence shell, form a covalent bond. Each atom donates an electron to the bond, which is considered to be part of the valence shell of both atoms. The number of covalent bonds an atom can form is the same as the number of unpaired electrons in its valence shell. The first covalent bond formed between two atoms is called a sigma (σ) bond. All single bonds are sigma bonds. If additional bonds between the two atoms are formed, they are called pi (π) bonds. The second bond in a double bond is a pi bond and the second and third bonds in a triple bond are also pi bonds. Double and triple bonds are stronger and shorter than single bonds, but they are not twice or triple the strength. 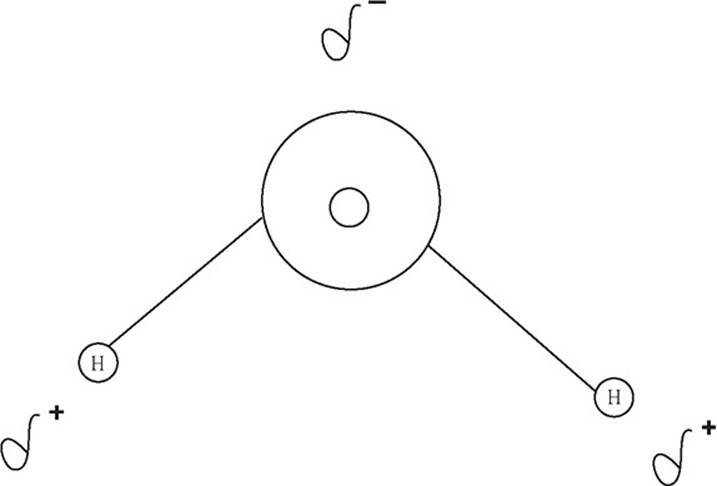 Single bonds have one sigma (σ) bond and a bond order of one. The single bond has the longest bond length and the least bond energy. In a network solid, atoms are held together in a lattice of covalent bonds. You can visualize a network solid as one big molecule. Network solids are very hard and have very high melting and boiling points. The electrons in a network solid are localized in covalent bonds between particular atoms, so they are not free to move about the lattice. This makes network solids poor conductors of electricity. The most commonly seen network solids are compounds of carbon (such as diamond or graphite) and silicon (SiO2—quartz). This is because both carbon and silicon have four valence electrons, meaning they are able to form a large number of covalent bonds. Silicon also serves as a semiconductor when it is doped with other elements. Doping is a process in which an impurity is added to an existing lattice. In a normal silicon lattice, each individual silicon atom is bonded to four other silicon atoms. When some silicon atoms are replaced with elements that have only three valence electrons (such as boron or aluminum), the neighboring silicon atoms will lack one bond apiece. This missing bond (or “hole”) creates a positive charge in the lattice, and the hole attracts other electrons to it, increasing conductivity. Those electrons leave behind holes when they move, creating a chain reaction in which the conductivity of the silicon increases. This type of doping is called p-doping for the positively charged holes. If an element with five valence electrons (such as phosphorus or arsenic) is used to add impurities to a silicon lattice, there is an extra valence electron that is free to move around the lattice, causing an overall negative charge which increases the conductivity of the silicon. This type of doping is called n-doping due to those free moving negatively charged electrons. In the F2 molecule shown on this page, the two fluorine atoms share the electrons equally, but that’s not usually the case in molecules. Usually, one of the atoms (the more electronegative one) will exert a stronger pull on the electrons in the bond—not enough to make the bond ionic, but enough to keep the electrons on one side of the molecule more than on the other side. This gives the molecule a dipole. That is, the side of the molecule where the electrons spend more time will be negative and the side of the molecule where the electrons spend less time will be positive. In the water molecule above, oxygen has a higher electronegativity than hydrogen and thus will have the electrons closer to it more often. This gives the oxygen a negative dipole and each hydrogen a positive dipole. The polarity of a molecule is measured by the dipole moment. The larger the dipole moment, the more polar the molecule. The greater the charge at the ends of the dipole and the greater the distance between the charges, the greater the value of the dipole moment.